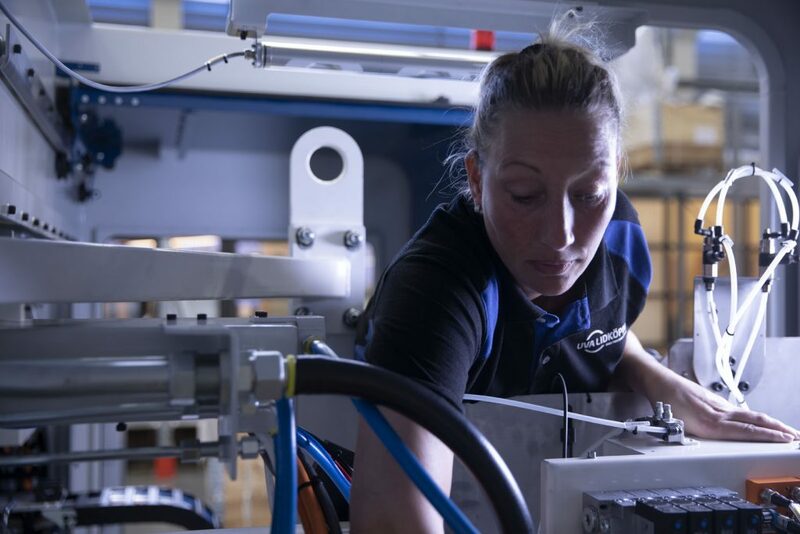 The main objective for the Service department at UVA LIDKÖPING is to optimize your utilisation of your existing UVA LIDKÖPING machines for our trademarks UVA and LIDKÖPING. UVA LIDKÖPING products are designed to be used and maintained by the customer’s own personnel under normal conditions. If necessary, UVA LIDKÖPING service engineers are ready to visit and solve the problems when additional support is needed. If possible troubleshooting can be performed over the phone or via Internet if needed. – Service personnel can quickly be on site to remedy urgent problems. – Loss of production is minimized. – Service personnel can carry out regular status. – Information about preventive maintenance on the machines. – UVA LIDKÖPING staff can be onsite within a couple of hours after your contact for assistance. – Service engineers are trained by UVA LIDKÖPING. – Service engineers are thoroughly familiar with UVA & LIDKOPING machine program. – UVA LIDKÖPING staff are placed at UVA LIDKÖPING sites in Sweden, India, Germany, USA and China. The presence at our customer is important to us, therefore we have strengthen our organisation at our UVA LIDKÖPING sites in the world. Our offices in Sweden, China, Germany, India and USA have full support for spare parts, field service and other sales activities for repairs, rebuilds, upgrades etc. In Lidköping, all new machines, both UVA and LIDKÖPING, are assembled, tested and shipped to our customers world wide. The Lidköping facilities is the cradle of LIDKÖPING machines since 140 years, still today the LIDKÖPING machines are developed and engineered in the charming little town at the large lake Vänern. In Lidköping, there are also Group management and all kind of supporting functions in the company. UVA LIDKÖPING India performs machine rebuilding and upgrades to smoothen your production flow and simplify machine operation. UVA LIDKÖPING India also provides spare parts for all UVA LIDKÖPING brands and products, tooling, training and onsite technical support for improved quality, uptime and productivity. Full support of field service, OEM repairs and rebuilding, spare parts and training. Full support of field service, spare parts and training.